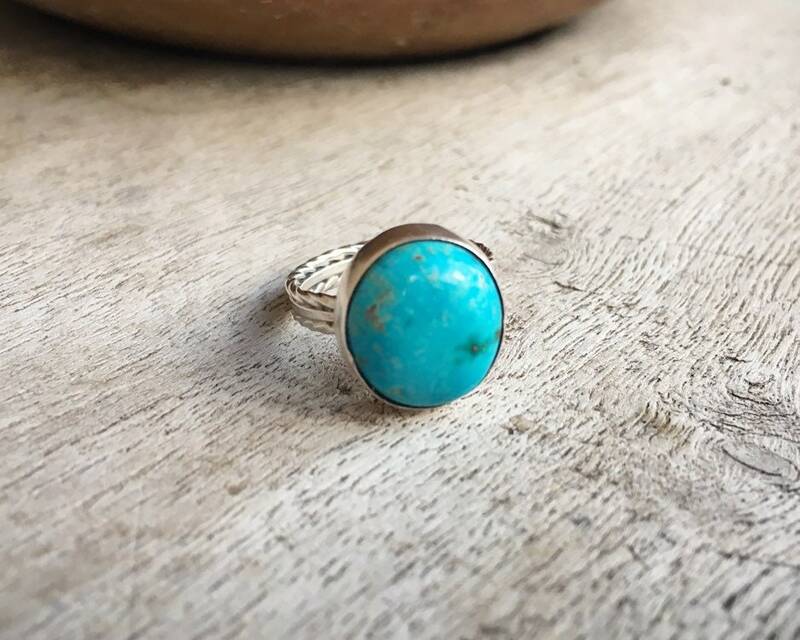 This small turquoise ring is simple and lovely, and perfect for the person who does not want a lot of flash. 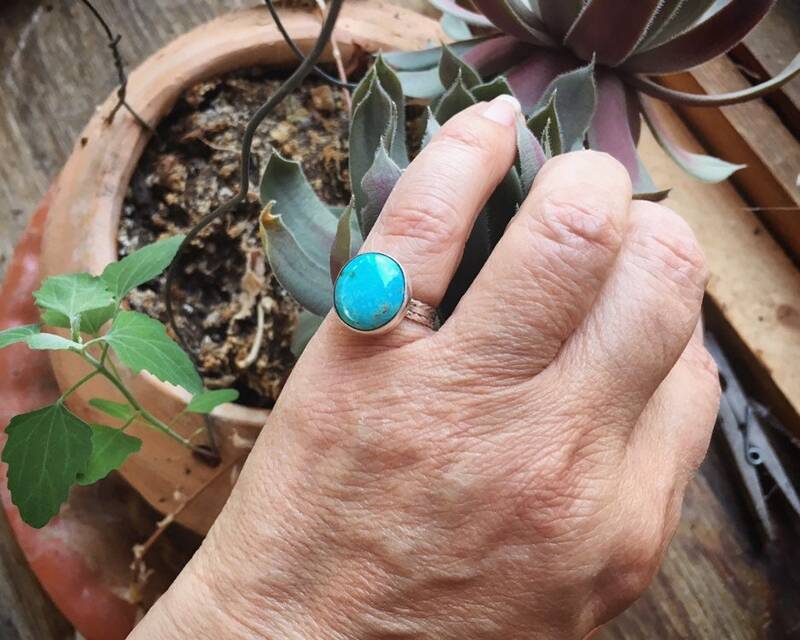 The turquoise is bright blue and not quite perfectly round. 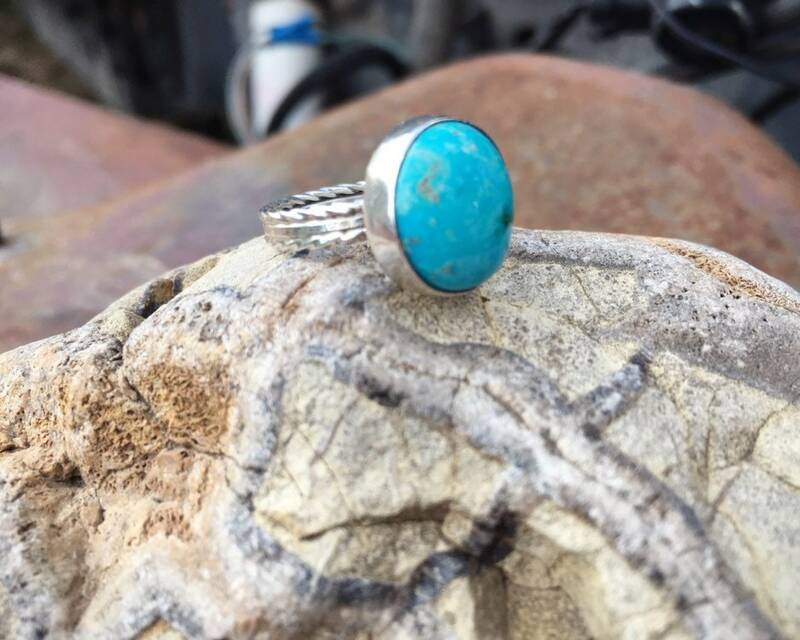 It carries the hallmark of R.B., which tells us it was made by Gallup, NM-based jewelry company Running Bear. 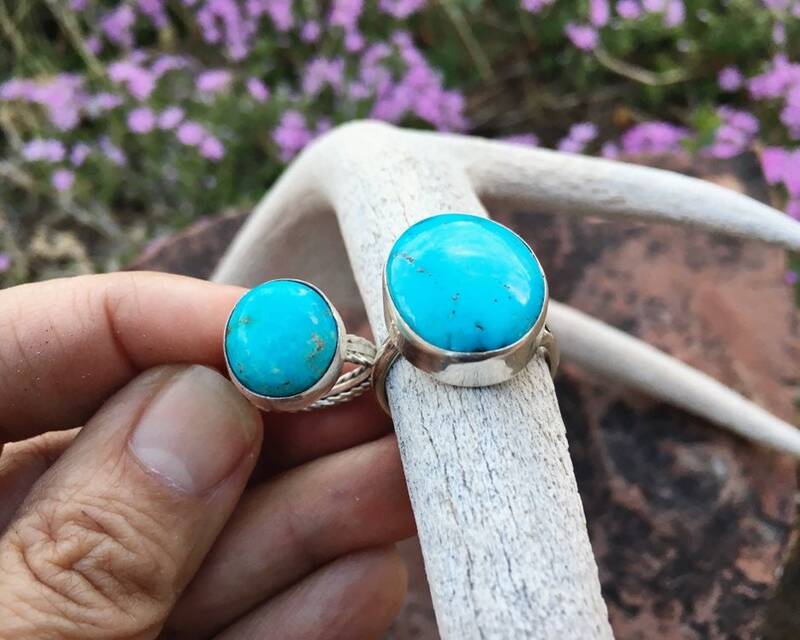 This 44-year-old jewelry manufacturer and trading post, like a host of others in New Mexico,employs Native American artists to create jewelry and designs sold under the Running Bear brand. 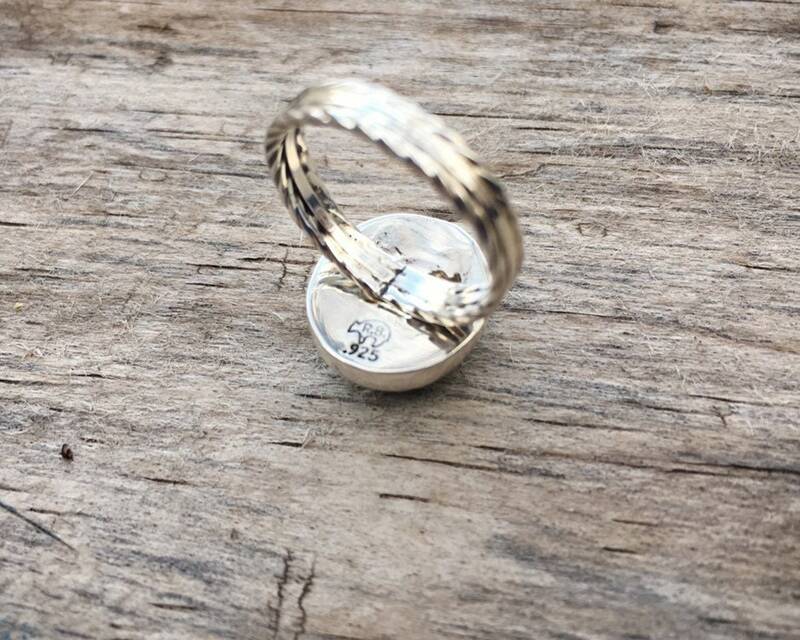 The ring face measures just under 1/2" in diameter and is a Size 5.5. 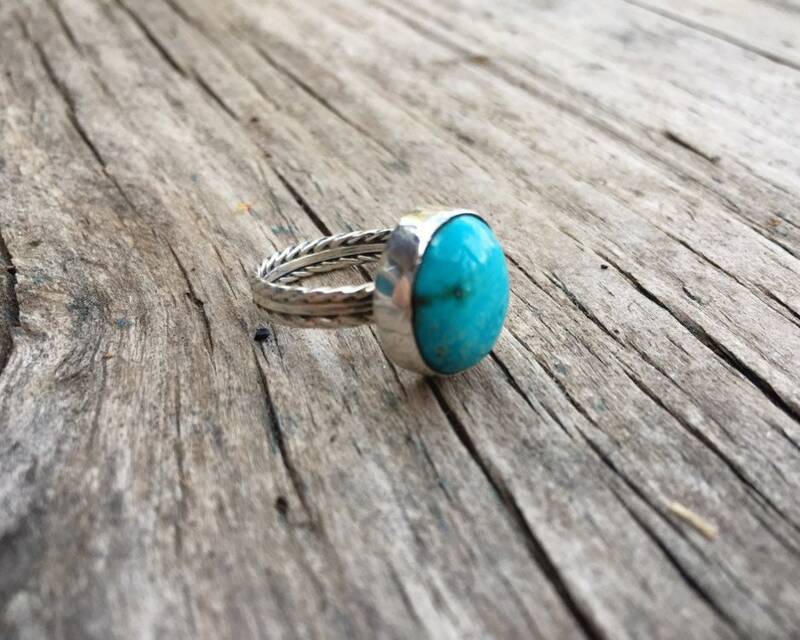 It's a great unisex ring that if you want it resized we can do so for $25 extra. 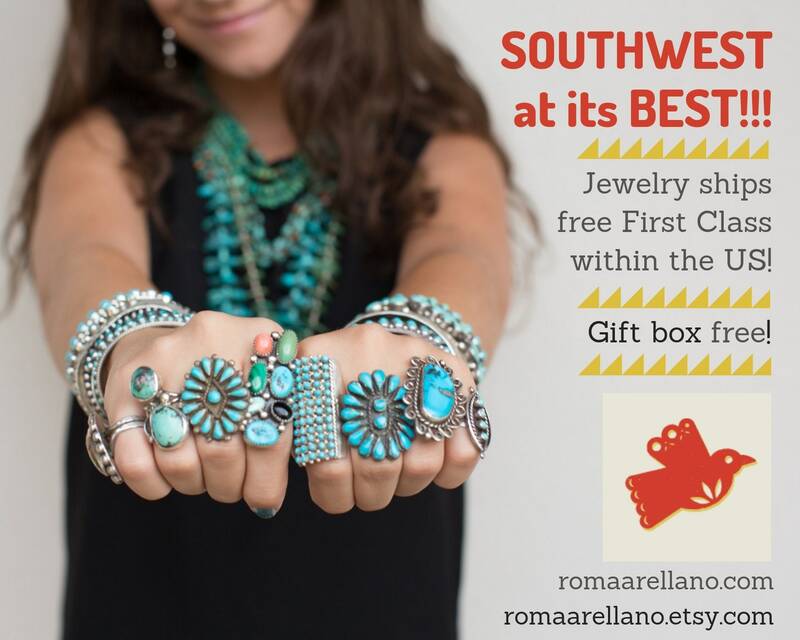 Just let us know. 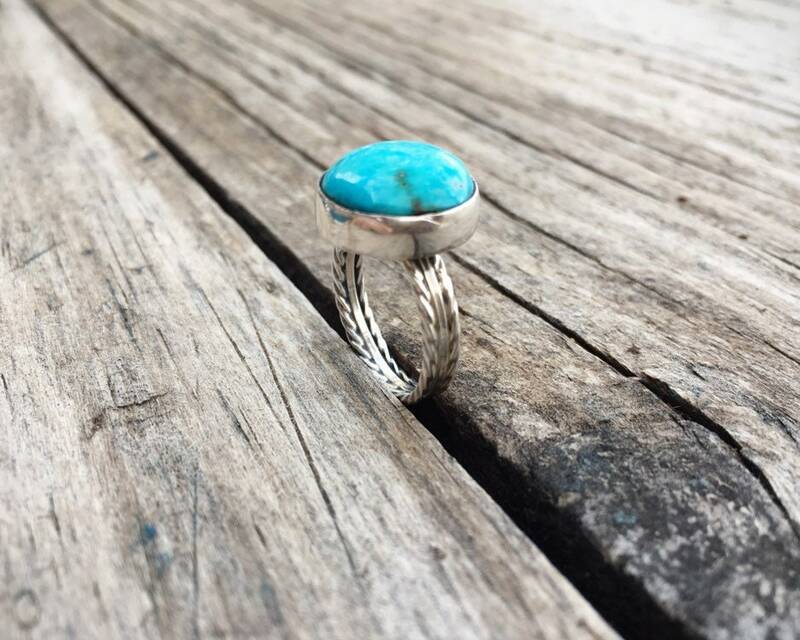 Sits on a twist wire shank.